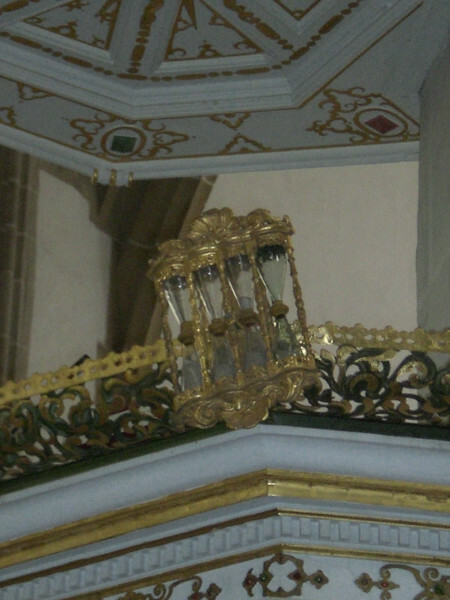 Here's a detail we don't often see on a pulpit -- hourglasses. Four hourglasses. How long does your pastor like to preach?